Greetings from Arusha, Tanzania where I had the opportunity yesterday to meet with violist Hannah Ross and vocalist Chelsea Feltman who are part of Art Powers Arusha, a group of Juilliard-trained artists who have been traveling to Tanzania every summer since 2009 to offer workshops in music, drama, and dance to Tanzanian schoolchildren. Hannah and Chelsea spent four weeks here working in different schools, most significantly with the Umoja Youth Empowerment Centre, a school that offers free education to 50 students ages 15 to 30 who have had to drop out of government schools due to poverty. The curriculum developed by Arts Powers Arusha is now an essential component of Umoja's own curriculum. 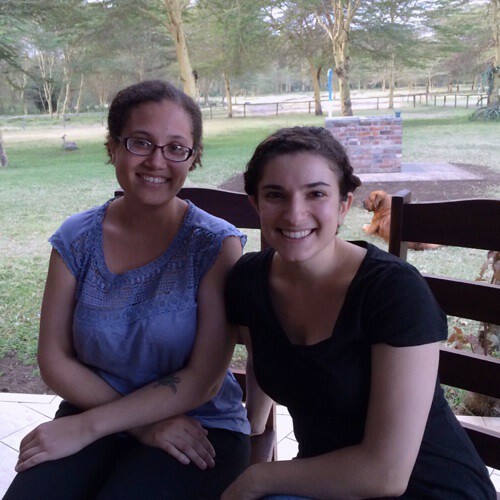 Both Hannah and Chelsea stayed on in Arusha after the others in their 6-person contingent returned to the U.S. at the end of the program. Hannah is on her way to the Thy Chamber Music Festival in Denmark via Paris, Germany, and Prague, and Chelsea is on her way to study near Florence. They took this opportunity to linger in Arusha, a city now dear to their hearts. 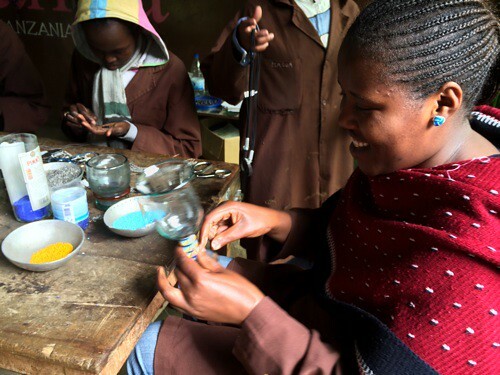 We met with them at Shanga River House, a center for disabled artisans who create craft works from recycled glass, aluminum, and fabric. Here's a photo of some Shanga artisans with their work.